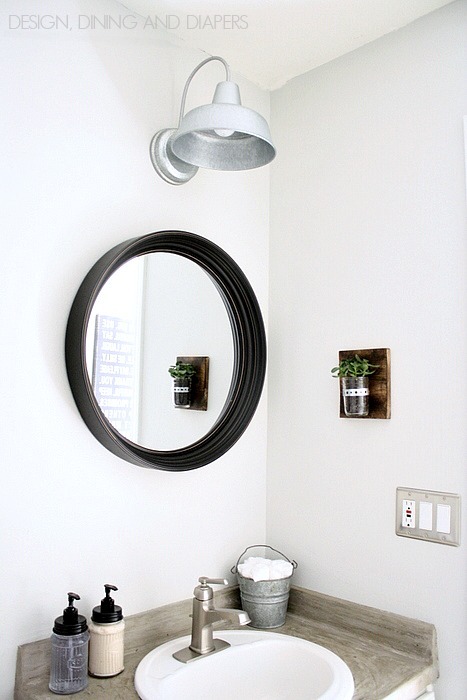 Modern farmhouse bathroom makeover from Design Dining & Diapers. 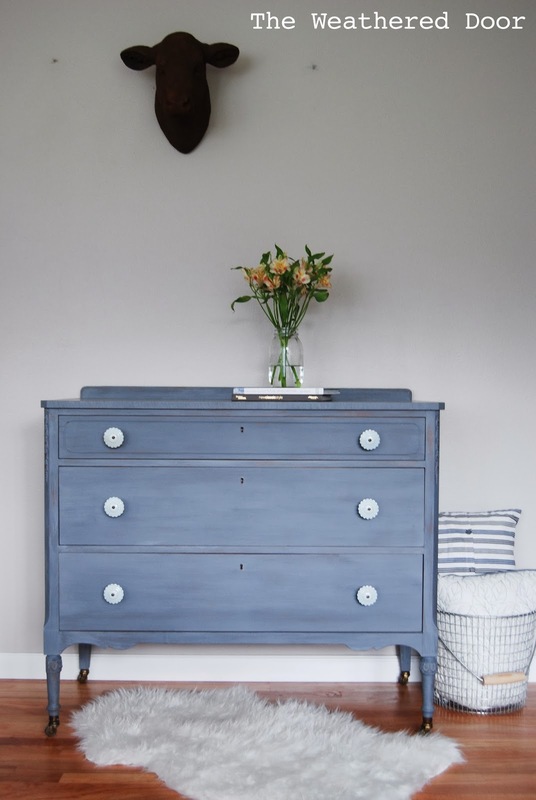 Dresser makeover from the Weathered Door. 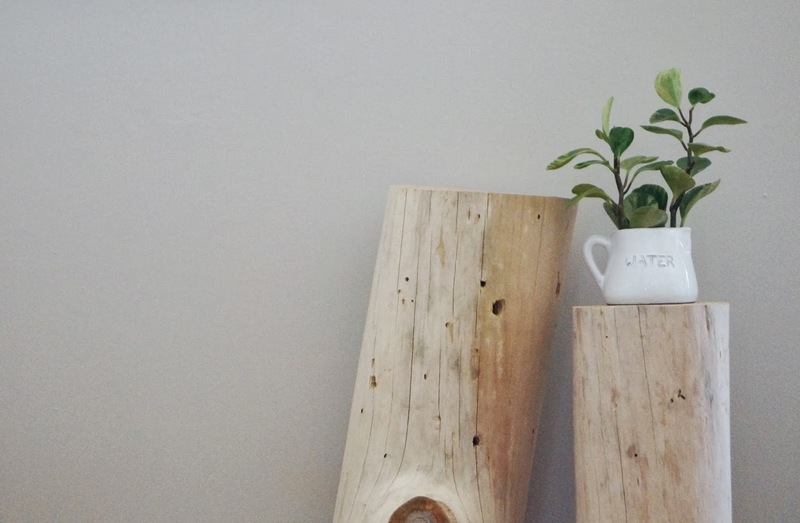 Tree stump tables from Don’t Disturb This Groove.